Power and HVAC Industries needing Solutions with respect to Power Generation and HVAC - Sales, Service and Rentals. 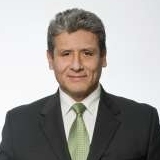 Luis has been an active professional in the Power industry since 1998 while holding his current position as President of GAL Power Systems since 2014. He graduated from Laurentian University in 1987 with a Bachelor of Engineering degree in Mining and is a member for the Professional Engineering Association of Ontario, Canada. Luis worked in the Mining Industry for over 11 years before getting his start in the Power Generation business when family needed his help to work in the family business, L.M. Generating Power Inc. He fell in love with the industry and continued to help L.M. Generating Power grow while also starting his own company, L.M. Temperature Control Inc. With relentless determination and his ability to build the right team, a successful merger with GAL Power Systems was made possible; something he takes great pride in. He plans to grow the GAL business by doubling the company's revenue over the next few years which he hopes will get him to be seen as a leader in the industry. He hopes to build a network of other professionals in the field to help this goal become a reality. Even though he is no longer working in the mining industry he still enjoys attending seminars regarding the industry, as well as, reading up on articles related to mining. During his down time Luis enjoys reading, traveling, and sports such as hockey, swimming, and golf. He also takes his enjoyment of hockey and is involved with coaching local youth hockey teams. Luis also donates to various cancer research organizations, specifically ones relating to breast cancer. Luis and GAL Power more recently help Children through Variety of Ottawa and the Canadian Foundation for Children with Aids in Africa, an organization the helps children in need not only within Ontario, but also in places as far as parts of Africa.